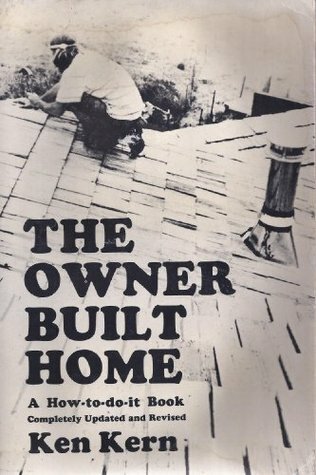 Ken Kern first wrote and published the ‘Owner Built Home’ home while working our land in 1972. Ken built up a huge following and fanbase in that era and while hard to find, the original copies of his books fetch a huge price. Due to popular demand and thanks to Echo Point Books, Kens most popular works have been reprinted and are accessible once again! With the new publishing contract, the original covers were updated however you can see the originals below in all their glory and click the link to support us and purchase a book. The product of years of research and experimentation with innumerable design and construction techniques around the world, The Owner-Built Home is full of practical tips. It describes in refreshing, straight-forward language, everything involved in making a home. Fully illustrated with drawings, photographs, and plans, The Owner-Built Home is an indispensable tool for anyone planning to build a house. 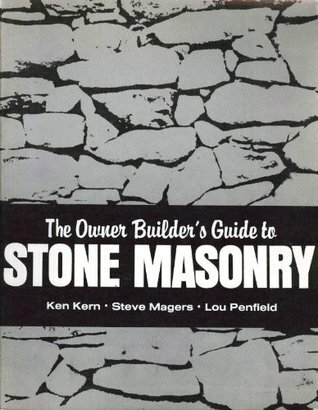 "The Owner-Builder's Guide to Stone Masonry "is a comprehensive guide to all aspects of building with stone. Everything from detailed information on sourcing, sorting, and selecting stones, to the various methods of building with stone. There are even chapters on building fireplaces, steps, floors, and arches. The book begins with a discussion of the mindset and attitudes essential to successful homesteading, followed by 20 fully-illustrated chapters of advice and instruction for sensible farming practices. Subjects include selecting and laying out a homestead site, with instructions for building roads, fences, a shop and a pit greenhouse; developing and managing water and soil resources; planting crops; tree and woodland production; animal and fish care; sanitation; and important information about nutrition.